Ideas About Art is an intelligent, accessible introductory text for students interested in learning how to think about aesthetics. It uses stories drawn from the experiences of individuals involved in the arts as a means of exposing readers to the philosophies, theories, and arguments that shape and drive visual art. 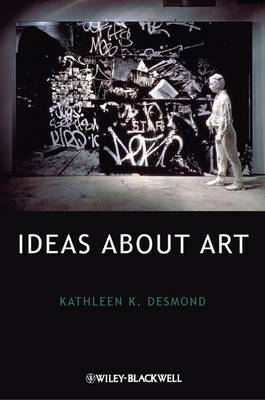 Buy Ideas About Art by Kathleen K. Desmond from Australia's Online Independent Bookstore, Boomerang Books. Kathleen Desmond is Professor of Art History and Byler Distinguished Faculty at the University of Central Missouri where she teaches aesthetics, art criticism and art history and writes about contemporary art and artists.